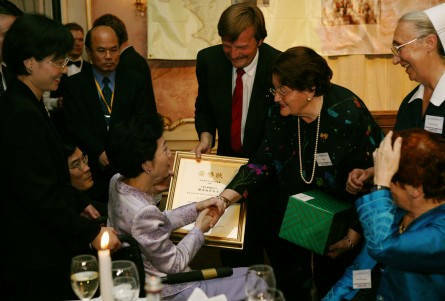 First lady Wu Shu-chen said in Berlin that the collapse of the Berlin Wall highlighted the eventual triumph of democracy. 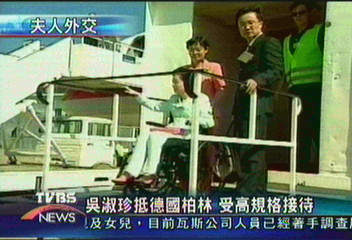 "Democracy will conquer all," Wu said. 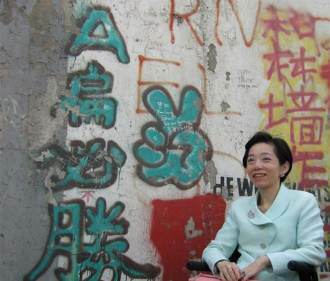 "When I visited the remains of the Berlin Wall today, I thought that the fate of the wall clearly points out that democracy is a common value as well as the strongest system, and no cement or steel is strong enough to resist people's pursuits and hopes for democracy," Wu said when addressing a banquet held by Taiwan's Representative Office in Germany. 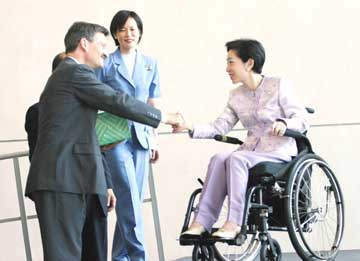 Wu also condemned China for not renouncing force and obstructing Taiwan's diplomatic activities. 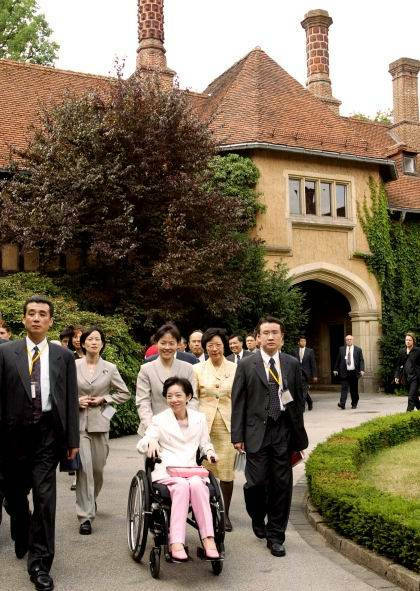 "China's hundreds of missiles aimed at Taiwan were even more terrifying than SARS, because while the virus would not infect everyone, the missiles and military threat were hurting the 23 million people in Taiwan," she said. 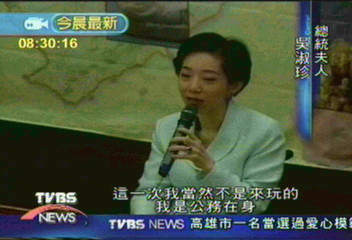 She believed that now there were more countries that could understand Taiwan's situation especially after the Sept. 11, 2001 attack. 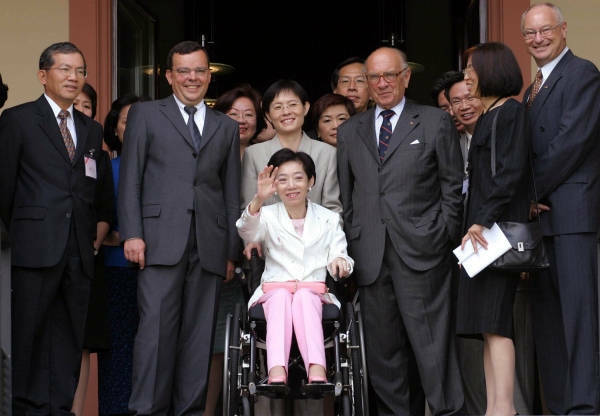 To welcome the first lady and her delegation, Taiwan's representative to Germany Hu Wei-jen threw a dinner party on Wednesday night. 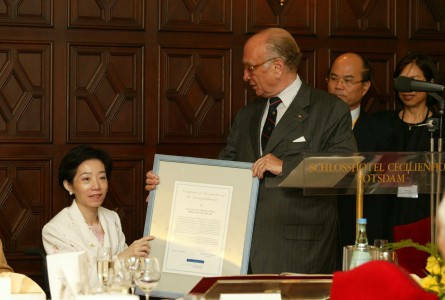 When Wu gave her speech, she first thanked the Taiwanese residing in Germany for their generous donations and efforts toward Taiwan's appeal for World Health Organization membership, and SARS prevention and relief. 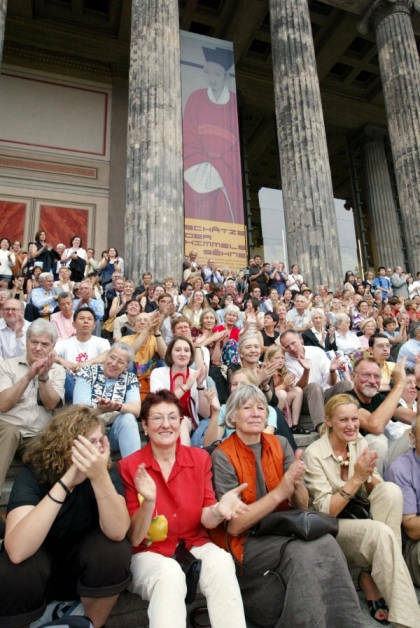 She then stressed that it was her third time to travel to Berlin -- she had been there once before the fall of the Berlin Wall and once after. 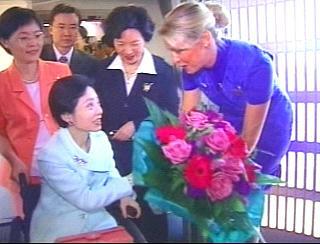 This time it was even more meaningful because she came as the first lady. 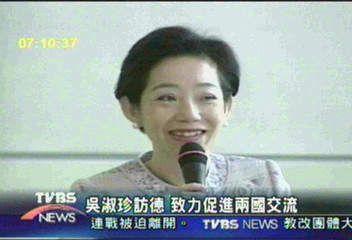 Wu's speech earned rounds of applause from the audience. 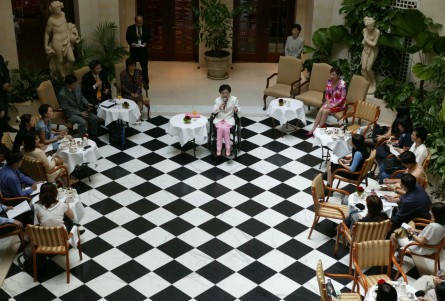 Taiwanese entrepreneurs and citizens, National Palace Museum staff in charge of the exhibition and some scholars in the dinner party joined Wu. 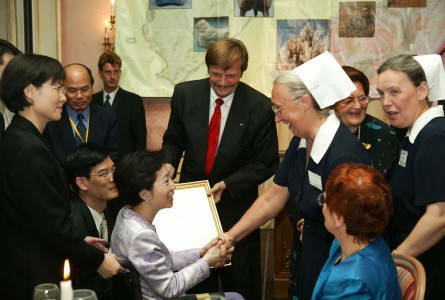 About 120 guests attended the event. 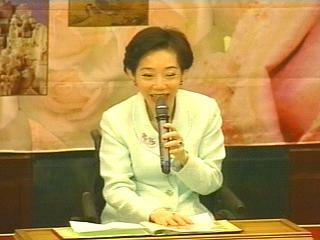 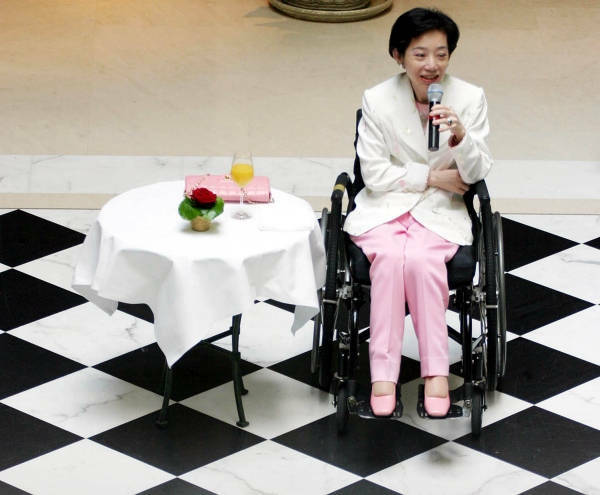 Wu interacted with other guests, and her humorous talk often initiated roars of laughter. 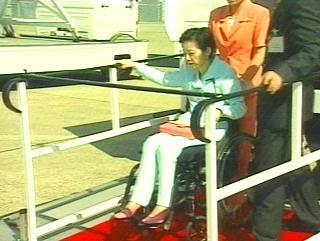 Although she endured a 13-hour flight, Wu looked spirited while participating in various activities during the day, and was in good condition. 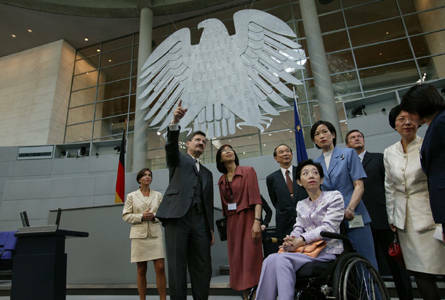 Wu visited the German parliament in the morning, accompanied and guided by deputy parliament speaker Hermann Otto Soles. 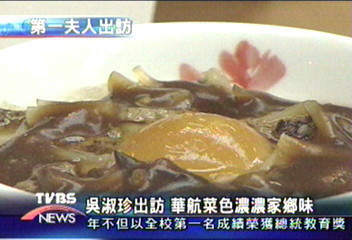 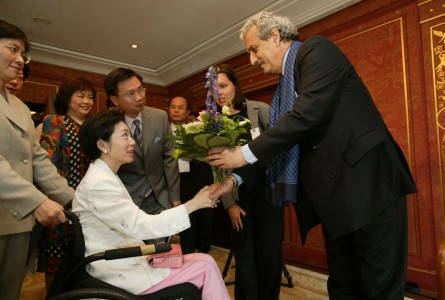 She had lunch with the parliament's Taiwan Caucus chairman Dr. Klaus Rose and several other members of the parliament. 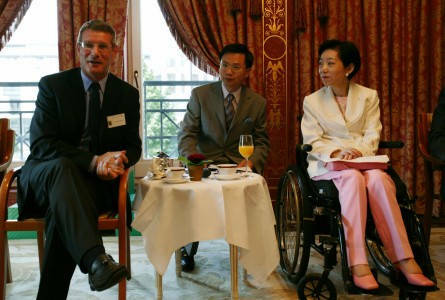 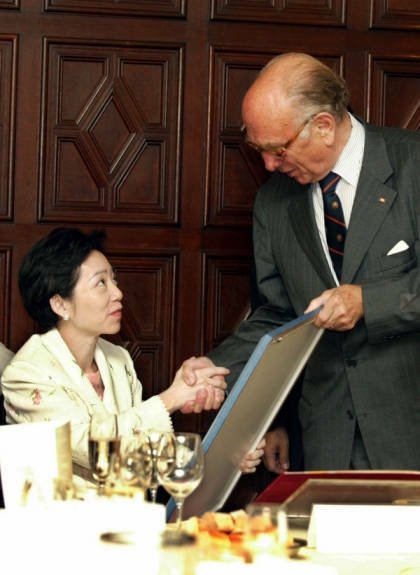 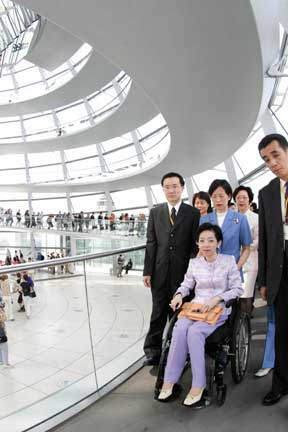 Wu talked about her experiences as a legislator, and she expressed gratitude to the government to these German friends' efforts in helping Taiwan join the WHO. 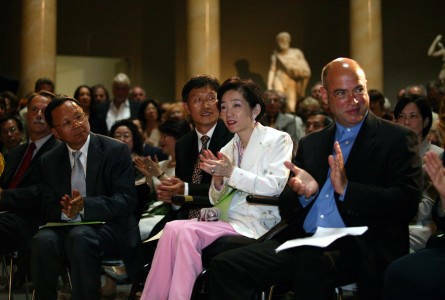 In the evening, Wu host the opening party for the National Museum Palace exhibition at the Altes Museum. 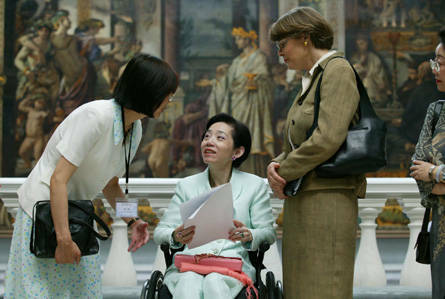 Present at the occasion were curators from other major European museums and prominent artists. 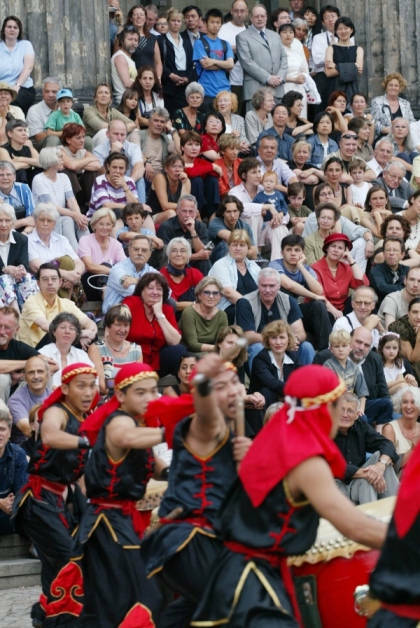 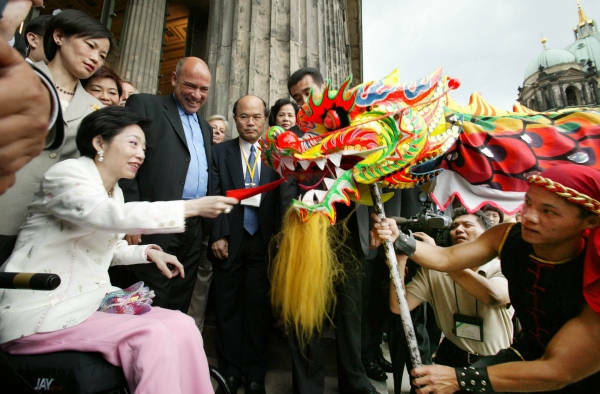 The German host also arranged a performance of traditional Chinese dragon and lion dances by local Taiwanese, and Wu tipped the performers according to the tradition.